Hi everyone! Sorry I missed you all last week; things got a bit busy. Glad to be back today though. 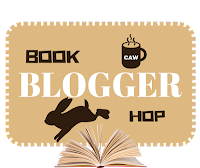 Do you overextend yourself with too many reviews because you can't pass up a book in hopes you will get them all done or do you carefully plan and be sure you can fulfill the deadlines for all the promised reviews? I've never yet failed to finish a review on time. However, I am selective in what I accept for review; I don't say yes to everything. When indie authors approach me, I will only agree to review if I truly feel drawn to the book and think I will enjoy it. The only times I am a little under pressure is if I receive approval for a number of NetGalley titles all at once, but even that's more just a personal pressure I put on myself, rather than any actual chance I won't finish them before the expiry date, because, again, I don't request everything I see. I try to keep request numbers reasonable. Given our history, Vita, I'm aware you may decide not to read this. Now, however, I prefer to believe that my father made his choice of burial site in the spirit of true love. 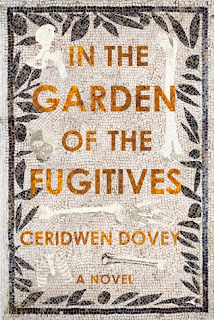 In the Garden of the Fugitives takes the form of an exchange of letters between Vita, a South African woman now living in Australia, and Royce, an older man who was responsible many years earlier for awarding Vita a fellowship to study in the United States. Their dynamic, as the letters unfurl, is completely unexpected. A tale of obsesssive love, control, identity, and ideas, which moves from Mudgee in Australia to the United States via pre- and post-apartheid Cape Town and new and ancient Pompeii, Ceridwen Dovey’s In the Garden of the Fugitives is remarkable and unique. Thanks for the visit. I look forward to getting into it further during next week. Definitely a different book, I hope you enjoy it. You've captured my attention with those snippets. They're vague but interesting. Happy weekend! I hope you enjoy the book. It does sound unusual. This week I am featuring Lord of the Pies by Nell Hampton - a nice cozy mystery. Happy reading! Thanks Kathy. Happy Reading to you too! As for review books, I learned, early on, to carefully plan a review schedule and which books to tackle. I don't accept books from unknown authors unless I have heard a LOT of good things about them. I've been burned! You can't DNF a review book, so I'm careful. Good points, Laurel. Thanks for stopping by. Wow. This book definitely sounds fascinating. I'm adding it to my wishlist/TBR. Thanks Loreen. Let's hope we both enjoy it. I'll be getting stuck in properly next week. Just finishing the tale end of another book first. I like how the story is presented. Sounds like this might get intense. Yes, I am keen to see how it all plays out. Is it a sad letter, an angry letter? What is he going to say? Maybe it's a shocking one. It's an interesting beginning. I do love to read letters. Yes, I look forward to finding out more myself. Oh, I wish I had that restraint t! I'm very much a 'shiny!' person. A book magpie. In the Garden of the Fugitives looks rather good. I hope you are enjoying it. Thanks. Yes, books can be hard to resist! I haven't really been accepting books for review for a while now. I'll accept here and there but I don't have much time to read, let alone have to have a book reviewed by a certain time. Yes, we all have to be realistic with out time restraints etc. I am always on time too with my reviews. Nice answer. Thanks for sharing. Thanks for the visit, Elizabeth. I definitely have the habit of accepting too many review requests at once because I don't want to let anybody down. Though, sometimes this means that reading becomes more stressful than enjoyable which is really never fun. I need to learn that it's okay to say no if my schedule doesn't allow it! I always try to meet deadlines though, and I try to make sure that they suit both me and the requester so there's no further miscommunication. I'm at the point where I requested way too many books and now idk how to read them all haha!!! Hopefully i'll find my balance <3 Great post!! !